MT. LEBANON, Pa. -- A Pennsylvania man beat his 4-month-old daughter to death because she would not stop crying, authorities said. Allegheny County Police said Joseph Gazzam, 30, initially told officers the baby had fallen out of bed at their Mt. Lebanon home on Sunday. However, an autopsy later showed Victoria Gazzam suffered bleeding of the brain, a lacerated heart vessel, a lacerated left kidney, a liver contusion, three fractured ribs, multiple bruises to the back and head and a hemorrhage behind the eyes. Coroner Christine James told Allegheny County officials that the injuries could not have occurred from the infant falling two feet to a carpeted floor. When confronted with the autopsy, police said Gazzam changed his story and admitted to punching the child several times because she was "fussy." "She stopped breathing and her eyes rolled back in her head," Gazzam told police according to the criminal complaint. The child's mother was working at the time and is working with detectives, according to police. 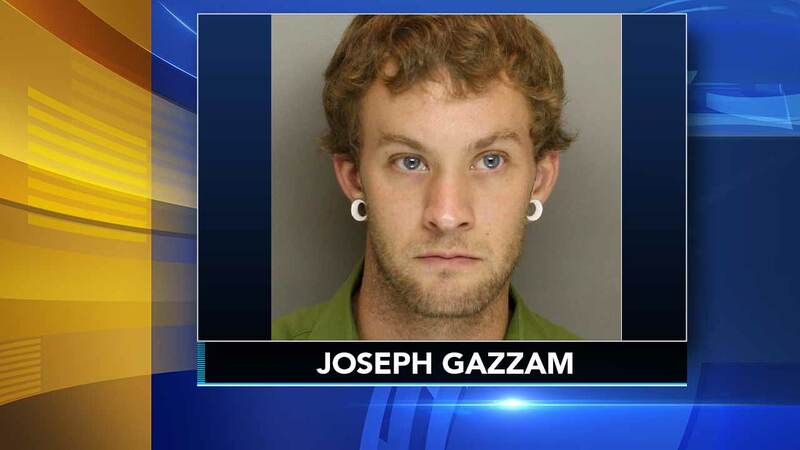 Gazzam is being held in the county jail, charged with homicide and child endangerment. No record of a lawyer was immediately available.